Free Nurbek Kushakbayev! Support independent workers’ organisation in Kazakhstan! Trades unionists have launched an international campaign for the release of Nurbek Kushakbayev, who was jailed this month for his part in organising strike action in the western Kazakhstan oil field. A court in Astana, the Kazakh capital, sentenced Kushakbayev to two-and-half years in jail, followed by a further two-year ban on organising. Kushakbayev is a trade union safety inspector at Oil Construction Company (OCC), an oilfield service firm based in Mangistau, western Kazakhstan. He is also deputy president of the Confederation of Independent Trade Unions of Kazakhstan, which the government banned last year under a law designed to straitjacket unions not controlled by the state. 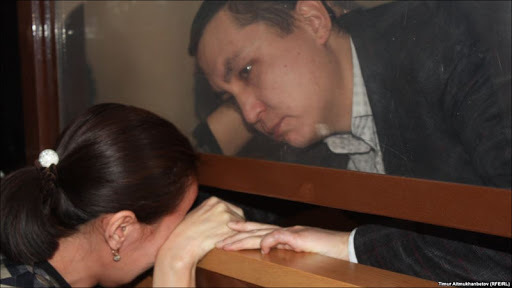 Nurbek Kushakbayev, in the cage for defendants, and his wife, after the verdict. Photo by Radio Azattyk. The companies that this month helped to jail trade union leader Nurbek Kushakbayev are linked, via Kazmunaigaz, Kazakhstan’s state-controlled oil and gas firm, to Chinese and international capital. While workers in the western Kazakhstan oilfield suffer repeated waves of state repression – from the notorious police massacre of strikers at Zhanaozen in December 2011 to this year’s fines, arrests and bans on trade union organisation – investment funds based in New York and London profit directly from their labour. I have always been politically minded, in that I think that how we live every day is dictated by politics and the powers that be. I was active politically when I was a teenager. I left school in 1979 when Thatcher came to power so there was a lot to be politically active about. But I wouldn’t say I have been active since – until the past five years. willingly put themselves through this, which is contrary to the many TV programmes portraying the opposite to be true. 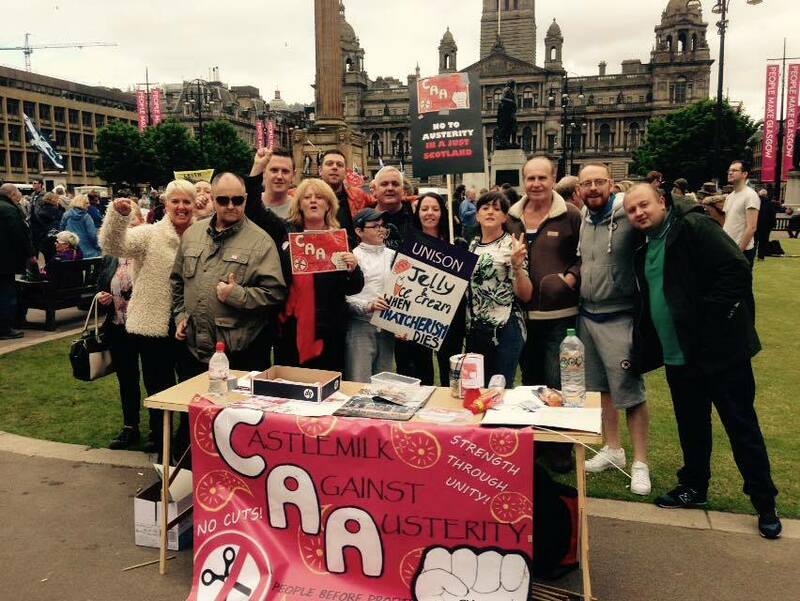 Life on benefits is full of misery and despair. At one point I was left to live on £47 per week, for ten months. You are currently browsing the People and Nature blog archives for April, 2017.